« Do not run out of time! Hailing a new approach, the Employment Appeal Tribunal (EAT) recently awarded personal injury compensation for failure to provide rest breaks under the Working Time Regulations 1998 (WTR). Rights: Under the WTR 1998 all workers are entitled to an unpaid rest break of 20 minutes when working for more than six hours per day (Reg 12). For workers carrying out monotonous work (i.e. a production line) further ‘adequate’ rest breaks must be provided to avoid a health and safety risk. These rights are enforceable by bringing an employment Tribunal claim. 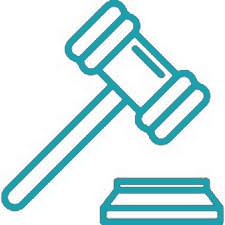 If an Employment Tribunal finds that the WTR have been breached, Reg 30 provides that it may award such compensation ‘as is just and equitable in all the circumstances. However, in a previous case (Gomes v Higher Level Care) the EAT had confirmed that this would not include compensation for pure injury to feelings; which was only available in discrimination cases. The facts: In Grange v Abellio, the Claimant was employed as a ‘Relief Roadside Controller’ regulating and monitoring bus services. He brought a claim alleging that his employer had refused him rest breaks but the first Tribunal dismissed his claim as there was no evidence of a deliberate refusal by Abellio. Mr Grange appealed and the EAT held that the refusal did not have to be an active response to a positive request; here it was the arrangement of Mr Grange’s working day that had prevented him from taking his rest breaks. His claim succeeded. Personal Injury: Mr Grange gave evidence that due to a bowel condition, the lack of rest breaks had caused him discomfort that was ‘more than a minor inconvenience’ and so, the Tribunal awarded compensation for personal injury. His employer appealed, relying on Gomes. The decision: The EAT rejected the appeal and confirmed that Tribunals are permitted to award damages for personal injury under Reg 30 of the WTR. Further, that medical evidence and reference to injury guidelines was not necessary as the Tribunals should be able to deal with cases on a common-sense basis. What next? : This case suggests that now, Claimants who can prove they suffered ‘more than a minor inconvenience as a result’ of a breach of WTR can be awarded personal injury compensation. This makes sense given that the objective of the EU Working Time Directive (as implemented by the WTR) was to protect the health and safety of workers. It could also mean that where a breach of the WTR is alleged, it could be easier to bring a low value personal injury claim in the Employment Tribunal than in the Civil Courts.